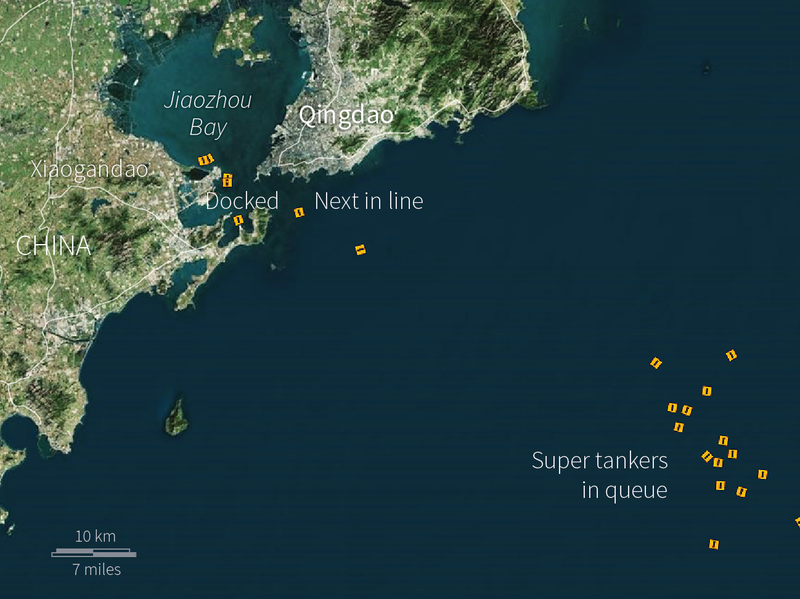 Huge traffic jams of tankers have formed around the world with some 200 million barrels of oil either waiting to be loaded or delivered as ports struggle to cope with record volumes in perhaps the most visible sign of the global oil glut. super tankers in operation on April 11. 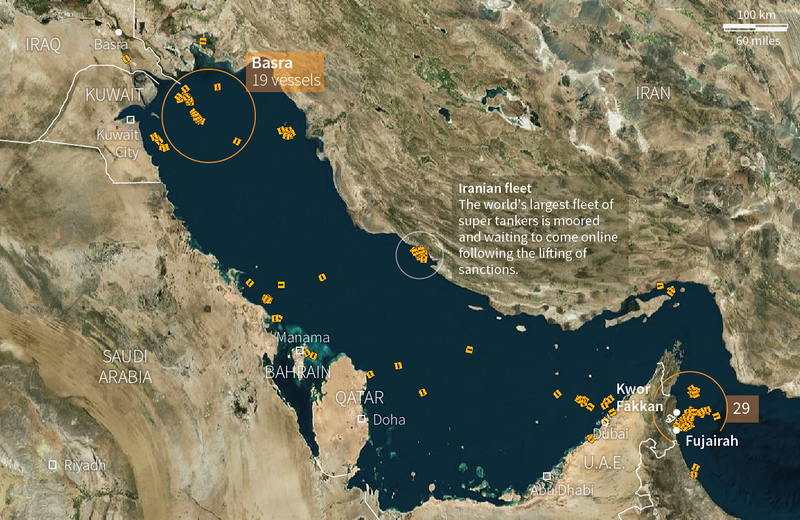 Each icon on the maps represents a large crude tanker of either VLCC or Suezmax size. 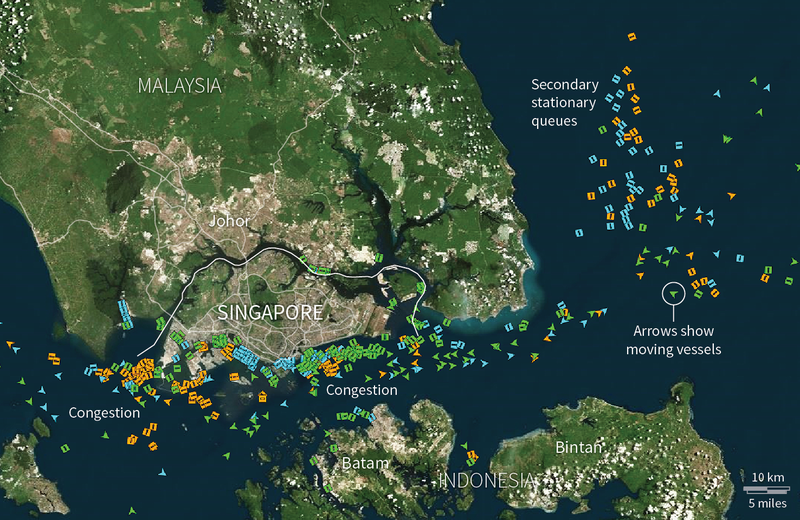 Hundreds of other small and medium crude carriers are also present in the region but not shown here. 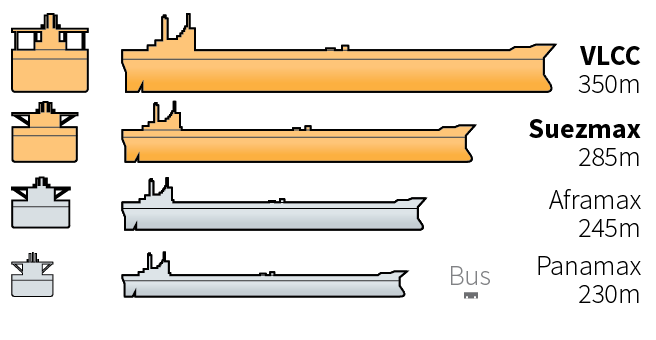 Each orange symbol below represents a parked large crude tanker. 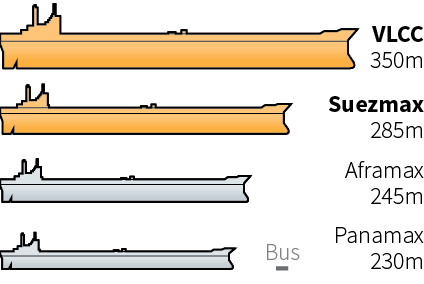 Ships in transit are not shown. 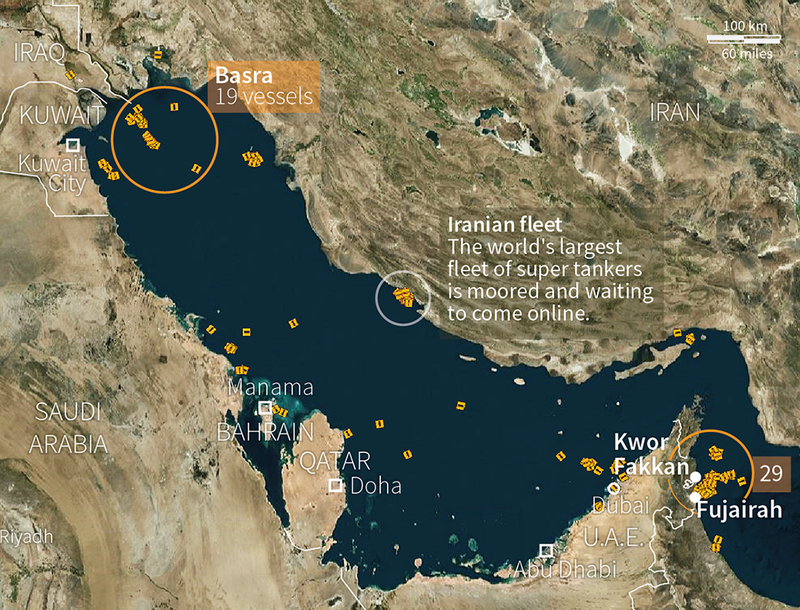 Despite war and conflict, there are 19 VLCCs and suezmax tankers with a combined capacity of 43 million barrels waiting to be filled off Iraq's Basra as the port struggles to cope with the country's rising crude output. A further 29 are anchored in congestion off the eastern coast of the U.A.E. at the ports of Fujairah and Khor Fakkan, major hubs for trading and blending of various oil products. China's independent refiners, freed of government constraints after securing permission to import just last year, have gorged on plentiful low-cost crude in 2016. 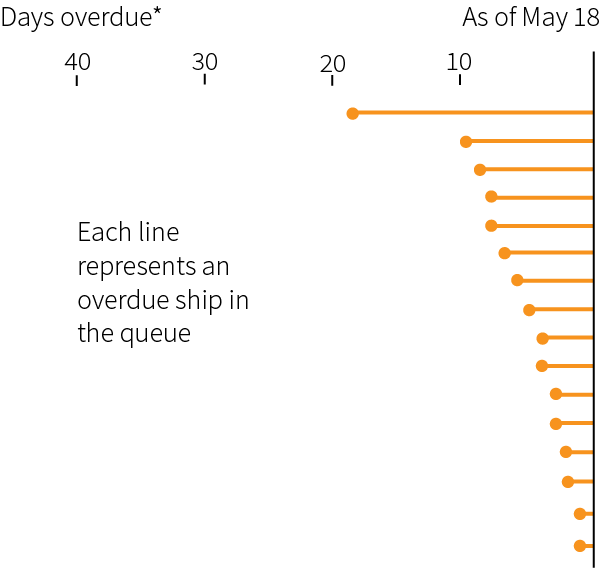 This has created delays for tankers that have quadrupled to between 20 to 30 days at Qingdao port in Shandong province, the key import hub for the plants, known as teapots. 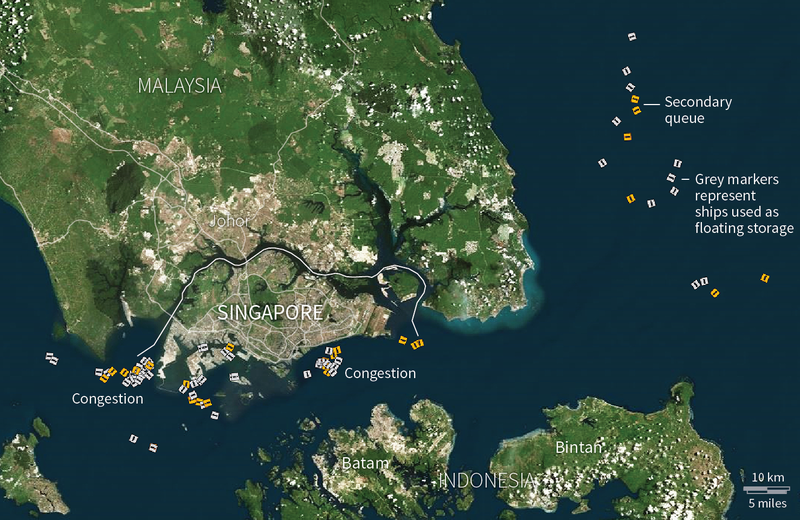 Almost all tankers going to the Far East pass through Singapore, the world’s petrol station for tankers (bunker fuels) and also a global refinery and ship maintenance hub. 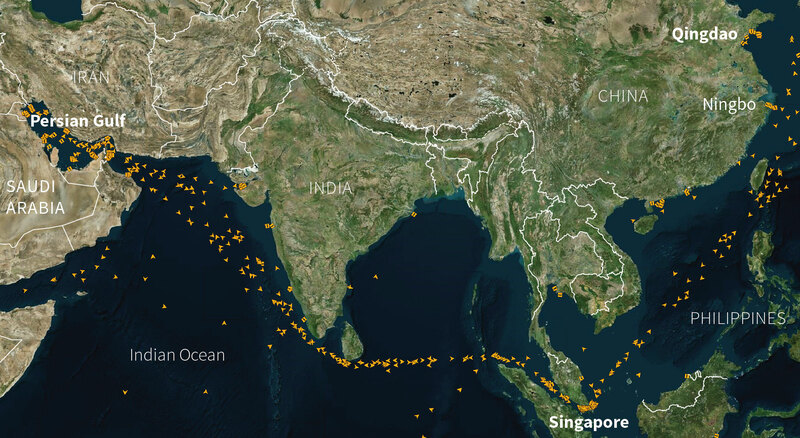 In a reminder that the oil glut is still far from over, there are now dozens of large tankers full of unsold crude anchored offshore. 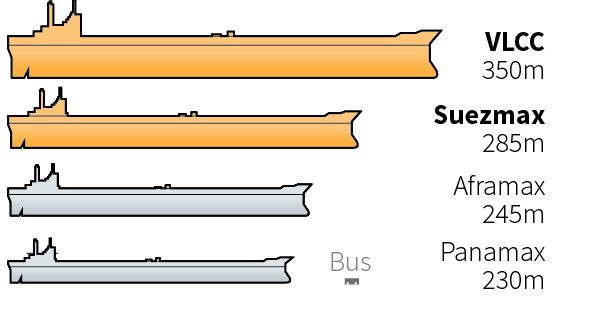 New vessels are even hired as floating storage as excess supply needs storage and facilities operate at or near capacity. The crude supertankers shown in the maps above carry massive volumes of oil but actually represent only a fraction of the shipping vessels currently plying the world's oceans. 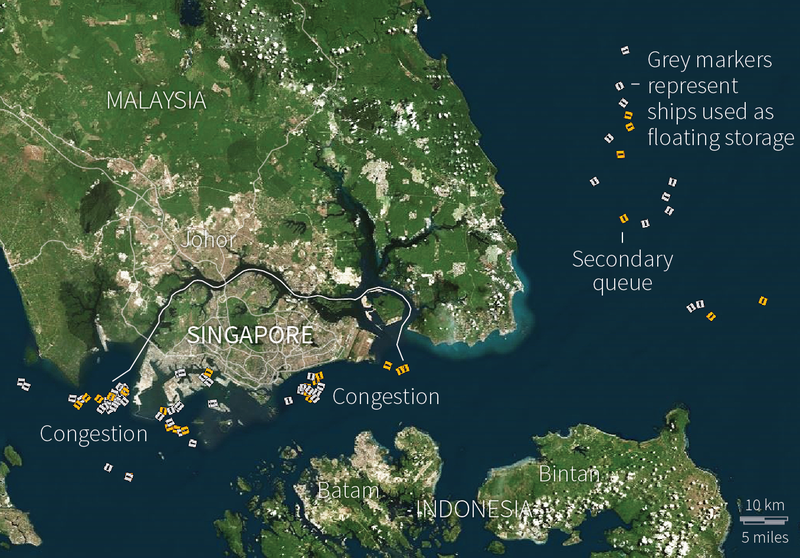 Here's another look at Singapore. 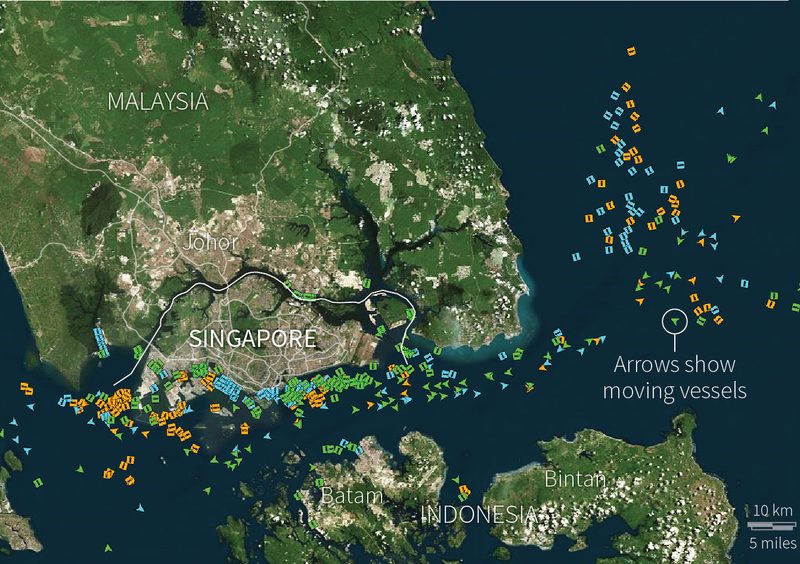 This time showing moving and stationary vessels of all types. 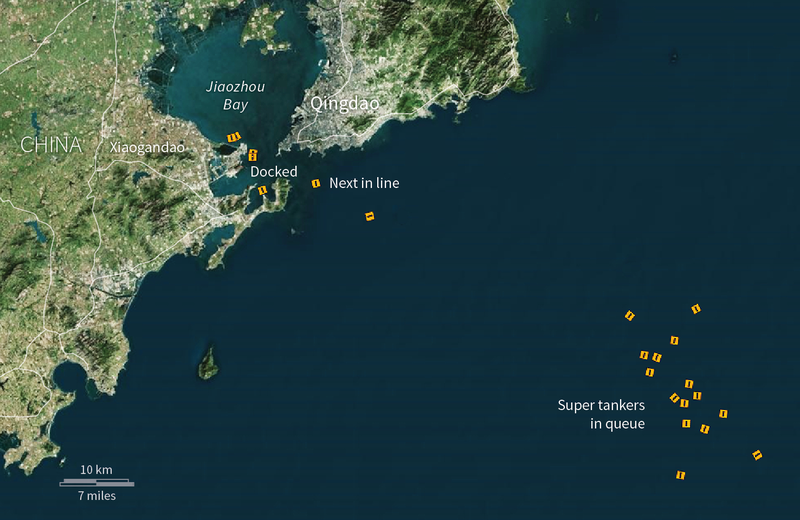 Tankers here have to jostle for space in congested waters around the port. 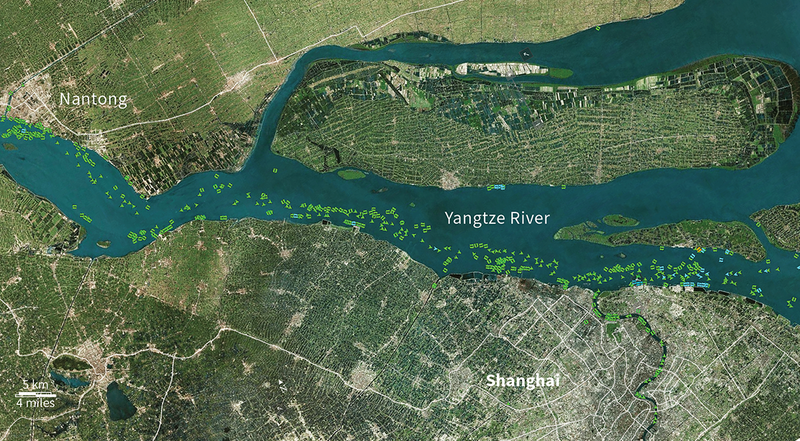 To see just how congested some shipping lanes can become, look no further than the world's busiest port, Shanghai. 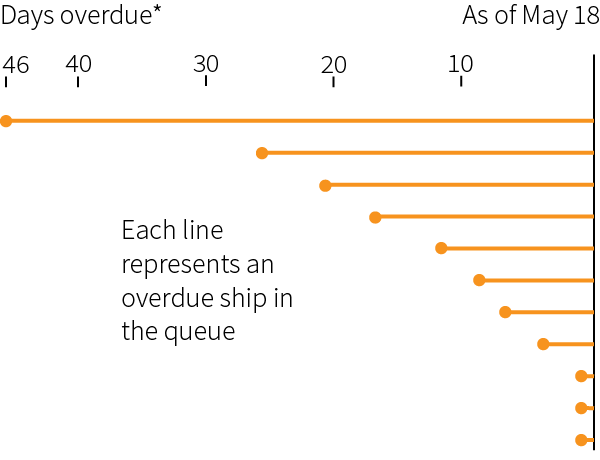 Hundreds of bulk carriers form highways up and down the Yangtze River to dock at various locations.